In this review we feature the best headphones for kids designed to keep your kids entertained and come with kid safety features. 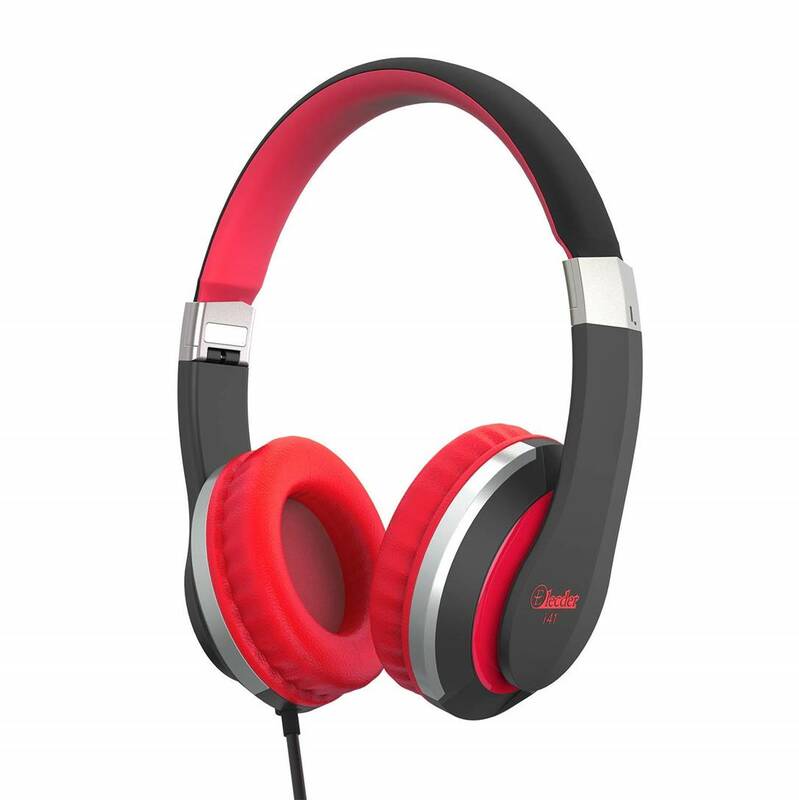 These headphones provide great stereo sound and have a 3.5mm plug which is compatible with all 3.5mm audio devices. We also liked the fact that these headphones come with an adjustable headband which naturally conforms to your children’s head size. 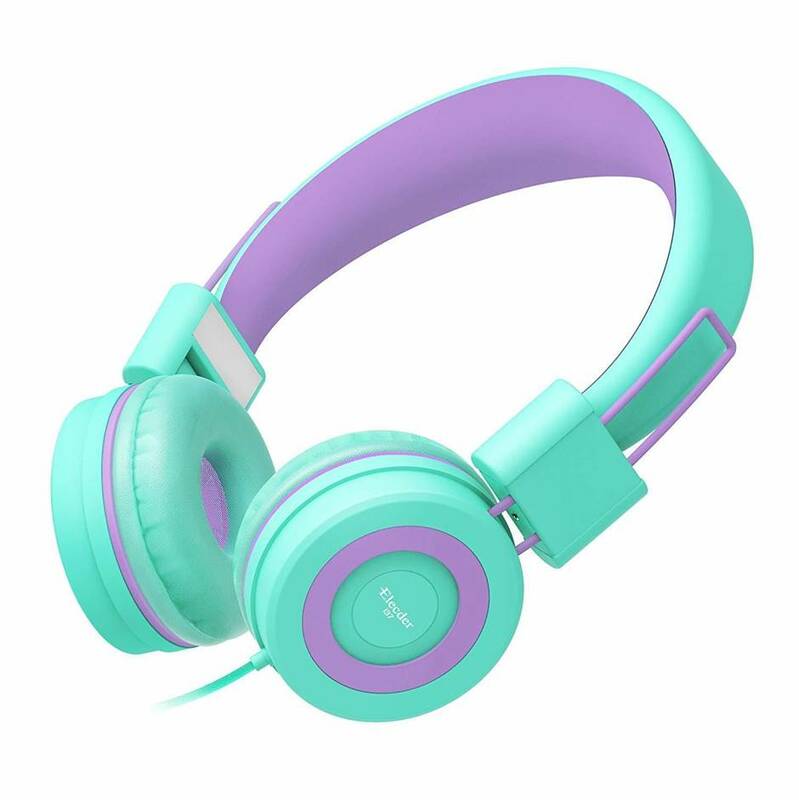 Furthermore, these headphones come with cute designs which will keep your child happy and entertained. We have tested these headphones to determine which ones provide the best value for money, so be sure to check out our top picks below! The Elecder i37 are some of the best headphones of kids with a cute appearance, producing good quality sound and providing a comfortable listening experience. They have a balanced frequency response across the whole spectrum and render music to a high degree of fidelity. We liked the colorful design of these headphones which will definitely keep your kids entertained and happy while providing good stereo sound. The Elecder headphones connect using a 3.5 mm TRS connector which is compatible with most existing devices, such as phones, tablets and laptops. The wire is wrapped on the exterior with cloth, making it durable and resistant to damage from pulling or stretching. It is 1.5 metres in length which is ideal for usage when walking. The i37 are easy to carry being foldable by design and having a robust construction. They have a closed back design which focuses the sound into the listeners ears for a clear and accurate image. In addition the closed back blocks out environmental sound from disturbing the listening session and also stops any sound spilling from the headphones to the outside world. The Elecder i37 are comfortable, featuring padded and adjustable earpads and headband, enabling long listening sessions without causing from discomfort caused by wearing the headphones. The Riwbox WT-7S are some of the best headphones for kids which have an interactive design which reacts in accordance to the music that’s being played. Both earcups feature an LED display which flashes depending on the received audio, bringing those headphones to life. The WT-7S connect using Bluetooth technology, making them compatible with most existing devices such as mobile phones and tablets. The Bluetooth V 4.0 offers a reliable connection that has a range of up to 10 metres of consistent audio. They are equipped with 40 mm drivers which produce a powerful sound with a small emphasis on bass, clear mids and treble. The paring system is easy to use, the headphones being set as discoverable with a touch of single button. After pairing initially, the device connects automatically to the headphones, enabling a quick and hassle free experience. The W1-7S headphones feature a multitude of controls on each earcup, giving users the option of answering calls, making and taking phone calls and controlling the volume without ever touching the streaming device. The headphones also feature a built-in microphone which renders high quality voice calls, allowing the user to answer calls without taking off the headphones. The BestGot are among the best headphones for kids which deliver good audio quality and ensure a comfortable listening experience. They produce a high fidelity sound with an emphasis on bass, clean mids and crispy highs. They have a surprisingly good amount of bass and good Hi-Fi stereo effects, making them really enjoyable to listen to for kids. These headphones connect using a 3.5 mm TRS connector which makes the headphones compatible with most existing devices, such as tablets, mobile phones, laptops and more. The length of the audio cord is 1.3 metres it has an inline microphone built in, enabling the listener to use those headphones as a headset, being able to take and make calls without having to take off the headphones. It also acts as a music player control to pause and play your currents song or playlist. 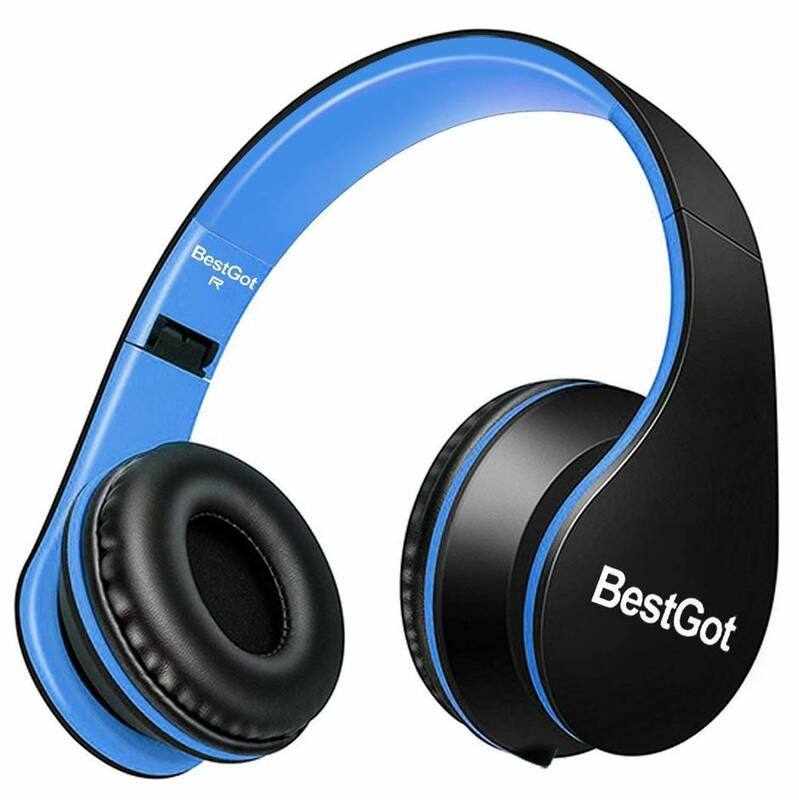 The BestGot headphones have been designed to offer a comfortable listening experience, featuring padded earcups and an adjustable headband, enabling users to listen for long periods of time without feeling much discomfort. The headphone features high quality PU ear cushions and an adjustable headband design for all days listening. As this pair of headphones is targeted toward younger audiences, they might seem tight for adults. The iClever BoostCare are some of the best headphones for kids with safe volume control technology which ensures that the sound is within recommended safe levels for young kids. 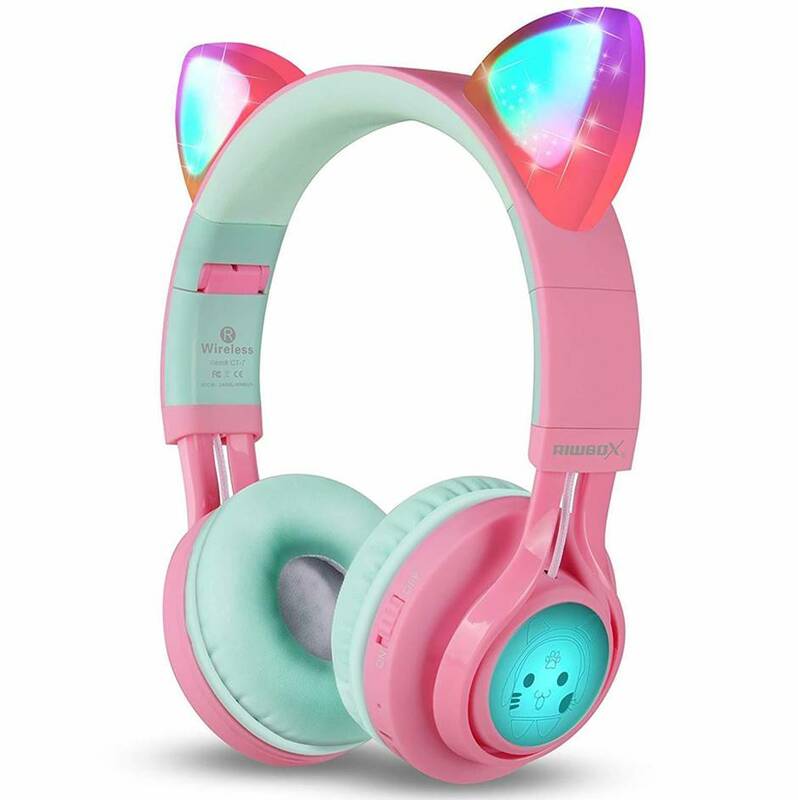 This headphone features cat-inspired ears on the top of the headband for aesthetic purposes to keep your kids entertained. Considering the target demographic for these headphones, the BoostCare headphones have a built-in volume-controlled circuitry that ensures the sound is within the safe levels for young children. This feature is essential as long listening sessions which are slightly above the recommended -85 dB value can have an impact on the hearing abilities if repeated multiple times. The headphones are strong and durable, being able to be bent, twisted and stretched without affecting the electronics of the headphones. The dimensions of the headphones are ideal for younger people, mainly for those in the age bracket of 3 to 12 years old. They feature an adjustable headband which can stretch accordingly depending on the age of the listener. The iClever BoostCare connect using a 3.5mm TRS jack connector, being compatible with most devices and equipment in circulation nowadays, such as mobile phones, tablets, laptops and personal computers. 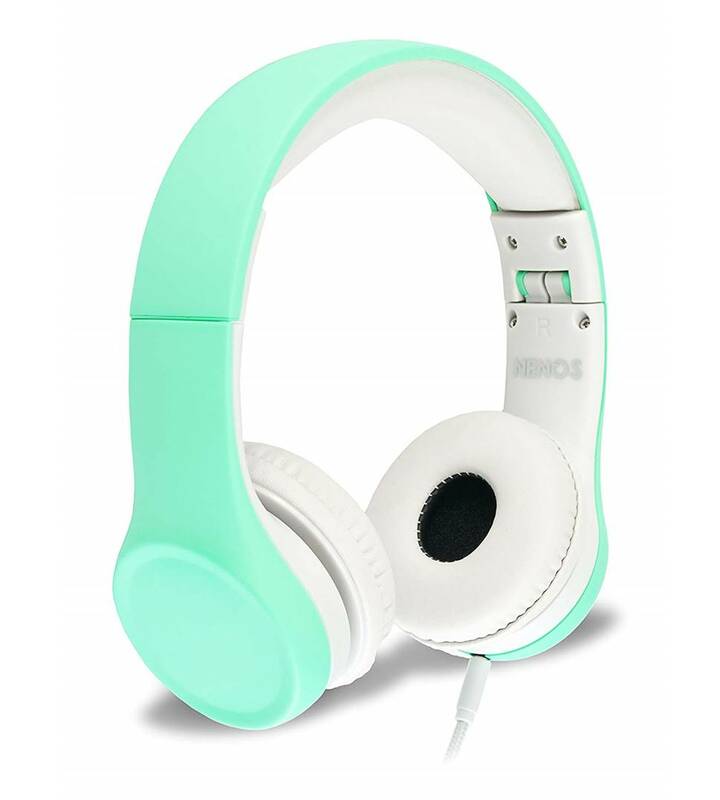 The Nenos Children Headphones are some of the best headphones for kids designed to be convenient and comfortable to use. These are targeted towards children and have a number of child-friendly features included. For those who want to share their listening experience, the Nenos headphones have an aux output socket which allows other headphones to connect to the Nenos and share the same songs or show. These headphones have a built-in automatic volume limiter which prevents the output volume to go over a certain threshold, protecting the hearing of the children using them. The Nenos are designed to fit children between the ages 3 and 8 and provide a comfortable listening experience. They are lightweight, have padded earcups and adjustable headband, allowing for long listening sessions without suffering from discomfort caused by headphone pressure. Furthermore, the Nenos headphones are also very easy to carry around as they are foldable, collapsing into a relatively flat shape and easily transported inside backpacks and bags. They have a robust design, being able to withstand accidents such as dropping, throwing or pulling the audio cord without damaging the functionality of the headphones. The Riwbox CT-7 wireless headphones provide both a memorable audio and visual experience, the headphones producing high quality sound and featuring cat-like ears on the top of the headband which light up using LEDs. 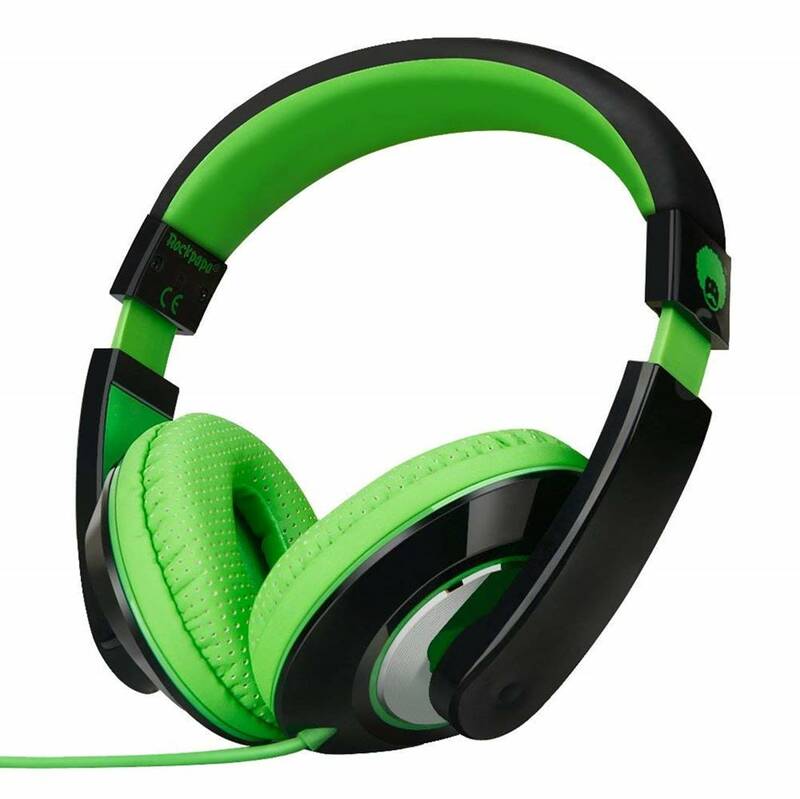 They connect wirelessly using Bluetooth 4.2 technology, creating a reliable connection between the headphones and the streaming device. There are no transmission related losses or latency, the pairing process is easy and the headphones connect automatically once the devices have been paired for the first time. The CT-7 headphones feature 40 mm drivers which produce good quality audio and respond quickly to transients in the audio. The earcups have built-in audio controls which enable the user to change the volume, pause, play or skip the songs. The CT-7 can switch between wireless and wired modes, so that in case of the batteries running out, the headphones can still function normally with the audio cable. The audio cord has a built-in microphone which turns them into a headset, allowing the listeners to take and make calls without having to take the headphones off. Overall, the Riwbox CT-7 are some of the best headphones for kids with eye-catchy LED design and wireless Bluetooth streaming. The RockPapa headphones are some of the best headphones for kids with a really comfortable over ear design and great sound quality. They have a closed-back, over ear design which ensures a clear and focused rendition of the audio. At the same time, the closed-back design enhances sound isolation from both the outside and the inside. The drivers produce a well-balanced sound with a deep and distinguishable bass, clear mids and crispy highs. The RockPapa headphones are comfortable to wear as they have padded earcups, an adjustable headband and are lightweight. They connect using a 3.5 mm TRS jack which is compatible with most existing devices nowadays such as mobile phones, tablets, laptops and personal computers. We liked the fact that the RockPapa headphones have a 1.5 meter cord length which is ideal for remote usage such as when travelling and even when sitting at the desk or workstation. The length provides enough flexibility yet is not long enough to become a tripping hazard. The RockPapa headphones have a sleek and modern design which is enhanced by the distinguishable colour palette of black and neon green. These headphones stand out from the crowd and have an eye-catchy appearance which will definitely keep your kids entertained. The Elecder i41 is a pair of headphones which have been designed to be child-friendly and also usable by teenagers and adults. The headphones produce high quality sound with deep, powerful bass and crispy highs. They connect using a 3.5 mm TRS jack so they are compatible with most current devices such as smartphones, laptops, tablets or computers. The i41 have a durable design and robust build, being able to withstand heavy usage without suffering any damage that would affect functionality. The audio cord is also wrapped within a resistant cloth which prevents tangling and is harder to damage compared to normal wires. 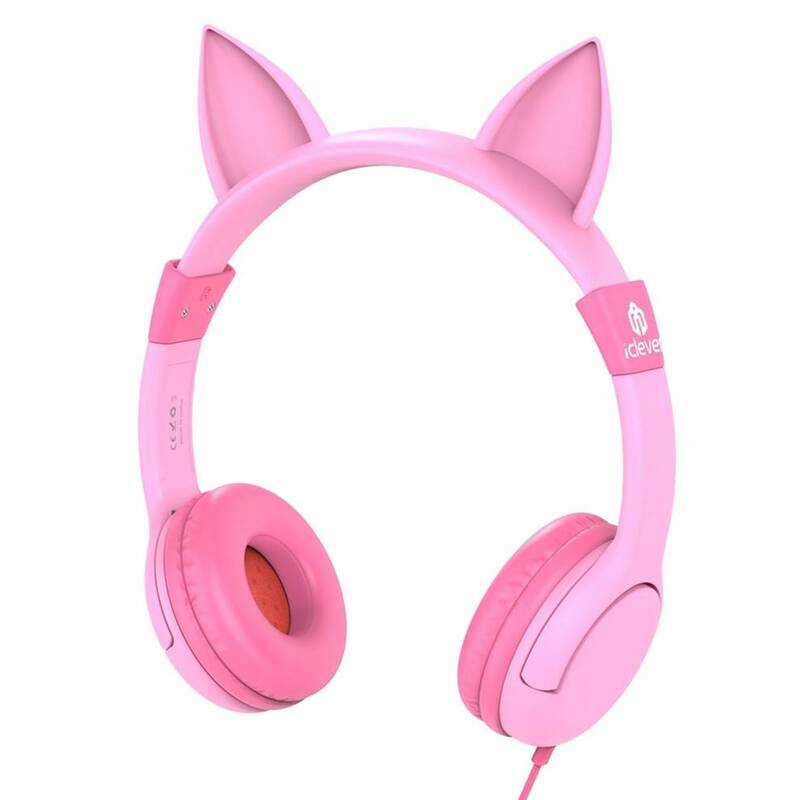 The headphones are comfortable to wear, featuring padded earcups and an adjustable headband, adjusting to the head shape of the user regardless of age or size. They can be used for long periods of time without creating discomfort, enabling long listening sessions. The headphones are easy to carry as they have a foldable design, collapsing into an ergonomic and resistant shape which is easy to carry. 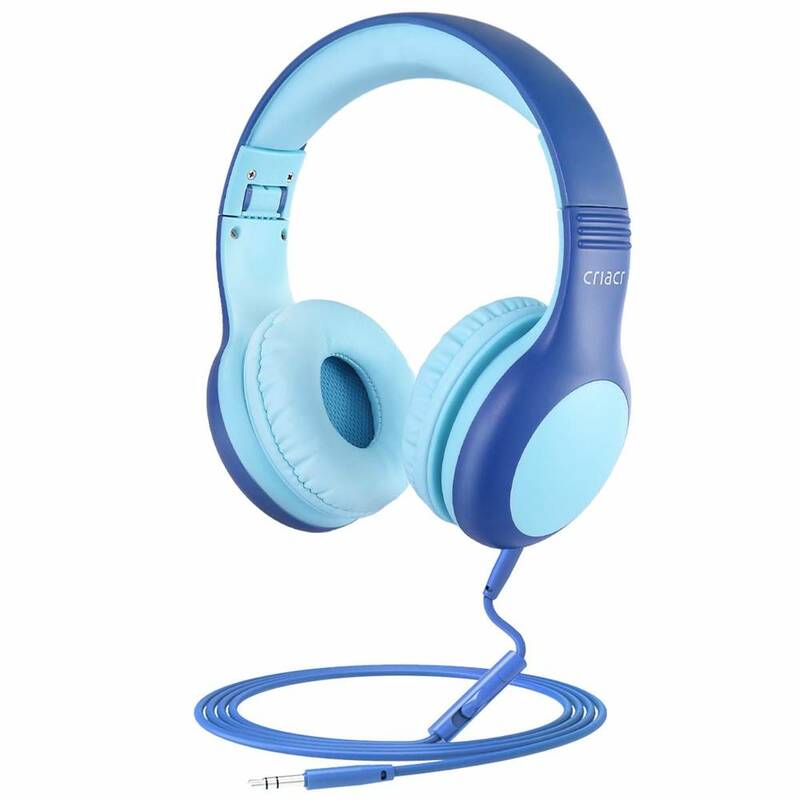 The Oria Kid Headphones, as the name implies, have been design to suit the needs of young people, having a number of features suitable for children. They are equipped with high-precision 40 mm drivers which render high quality sound across the frequency spectrum and respond quickly to transients. They have a closed back design which helps with the reduction of ambient noise, enabling users to concentrate on the music that’s being played. 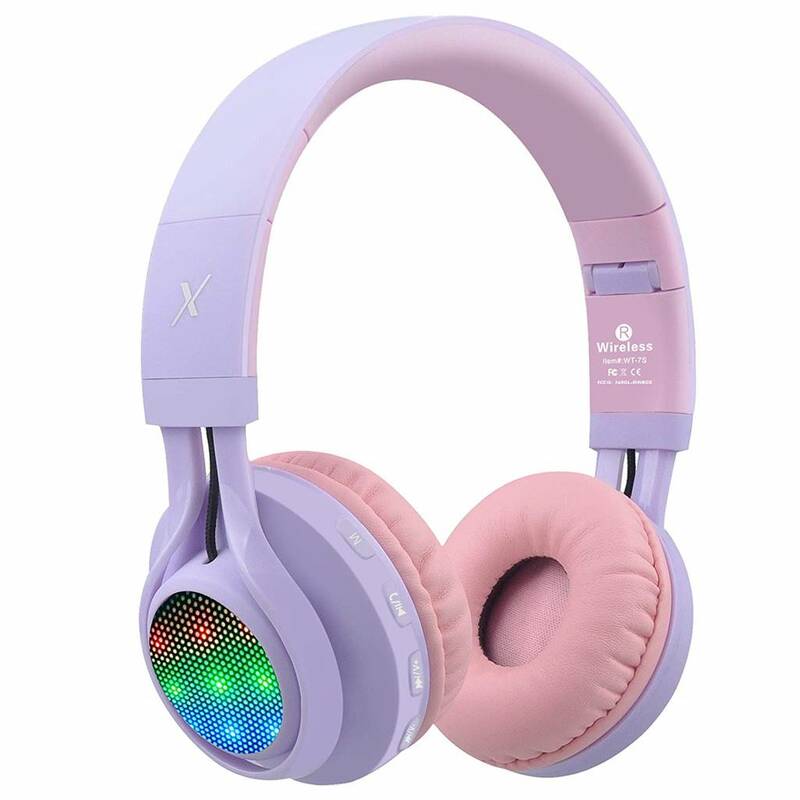 As these are headphones for kids, they have a built in automatic volume limiter which protects the children’s’ hearing by not allowing the sound to get over a certain threshold. For those who want to share their listening experience, the Oria headphones have an additional 3.5mm jack socket which can allow other headphones to plug in and listen to the audio. The 3.5 mm TRS connector ensure that the headphones are compatible with most devices in use nowadays such as a phones, laptops and tablets. Overall, the Oria Kid Headhpones are comfortable and provide great stereo sound quality, enabling users to have long listening sessions without feeling discomfort. This is because of the padded eracups and adjustable headband which helps the headphones adjust depending on the head-shape of the listener. It also comes with memory protein earmuffs which feel soft and comfortable on the ears. 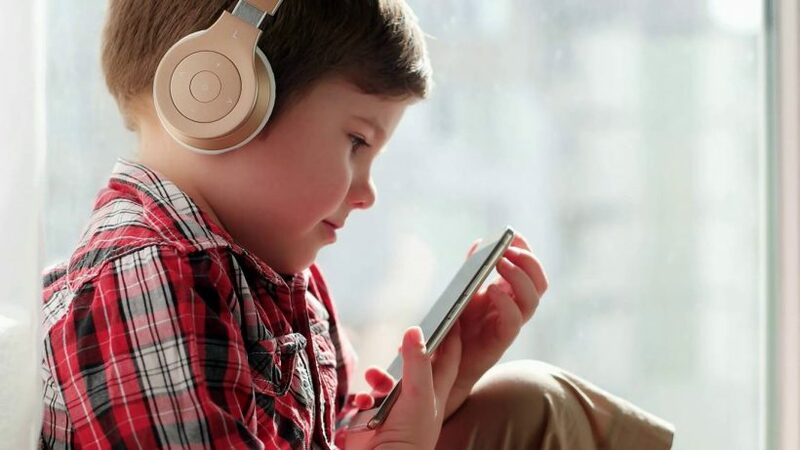 The LilGadgets New Connect+ are a pair of headphones which are suitable for children and teenagers, having a multitude of features that would facilitate their usage by this age group. They are equipped with 40 mm drivers which produce good quality sound across the frequency spectrum and respond quickly to transients. The headphones have a frequency range between 20 Hz to 20 kHz and can reproduce details in the audio spectrum with crystal clear clarity. 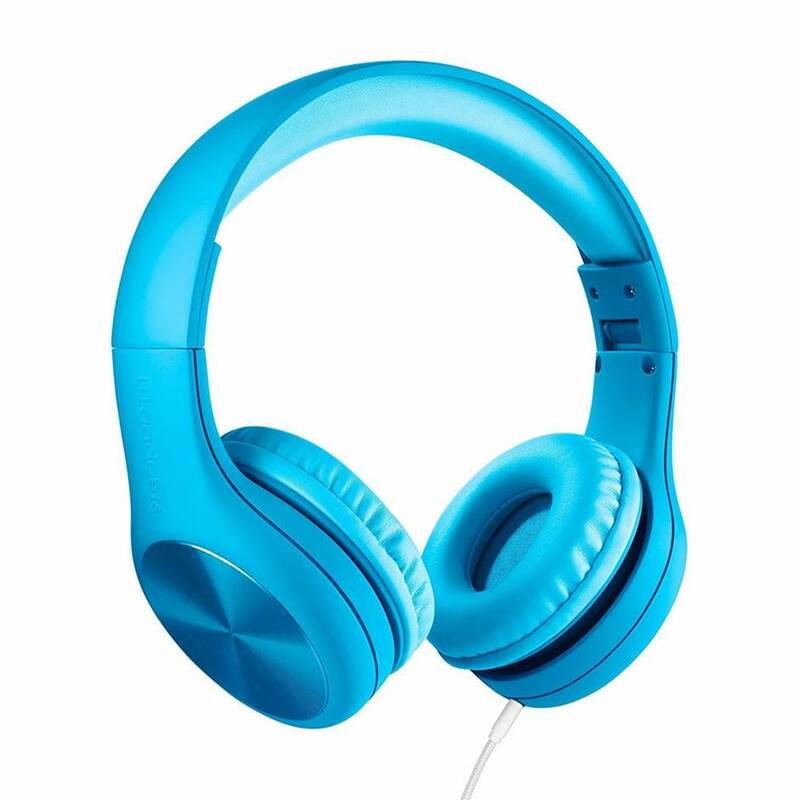 As these are headphones for kids, the headphones have a maximum volume output set at 93dB to protect your child’s ears. They have a durable design which makes the headphones able to withstand heavy usage and survive accidents without having their functionality impaired in any way. The SharePort is an additional output socket which allows an additional pair of headphones to connect to the LilGadgets New Connect+, allowing two people to listen to the same songs. The headphones are comfortable to wear as they feature padded earcups and an adjustable padded headband, helping the headphones adapt to the listeners head-shape and size. The 3.5mm TRS connector is widely used by streaming devices which means that those headphones are compatible with most existing audio systems and smartphone devices.